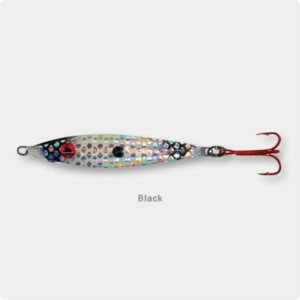 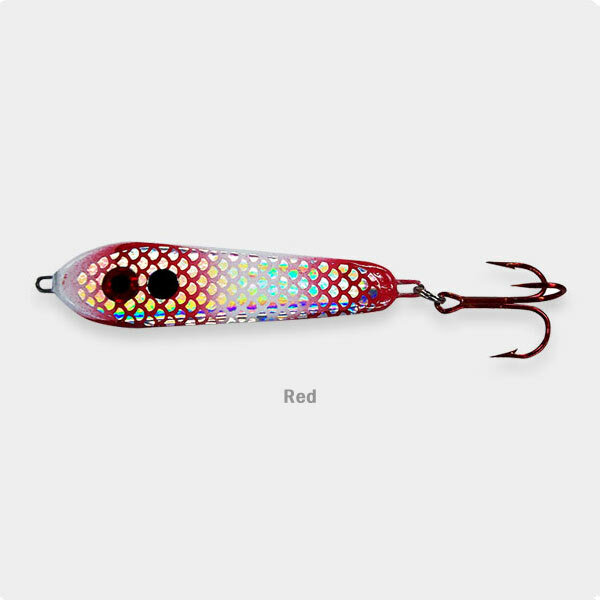 “FLE-FLY’s Classic Slab bendable spoons are available in 11/2 oz and 2 oz sizes. Since the early 90’s these Classic Slab Bendable Spoons have been catching Striper, all species of Bass, Skipjack Herring, Crappie, Walleye and any other schooling predator species that eat bait-fish in salt and freshwater. 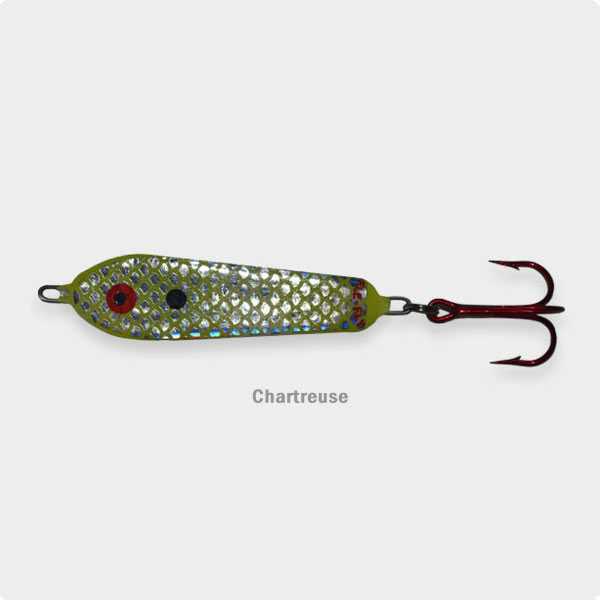 Five very popular colors include Red, Blue, Black, Chartreuse, White. 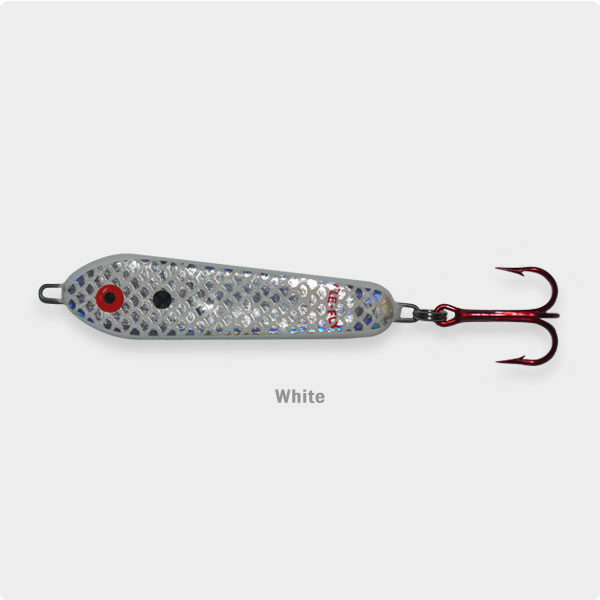 Holographic-Silver Scale finish is also included on all Minnow Spoons! 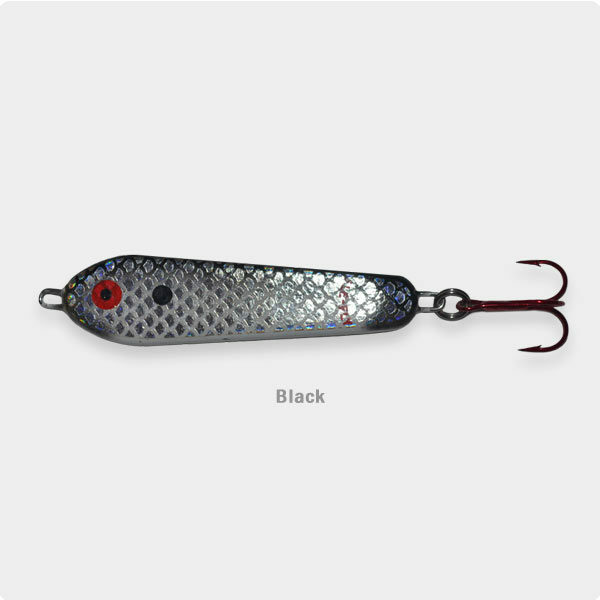 The action of all the FLE-FLY spoons mimic a injured bait-fish which causes fish to hit them aggressively with reaction strikes. 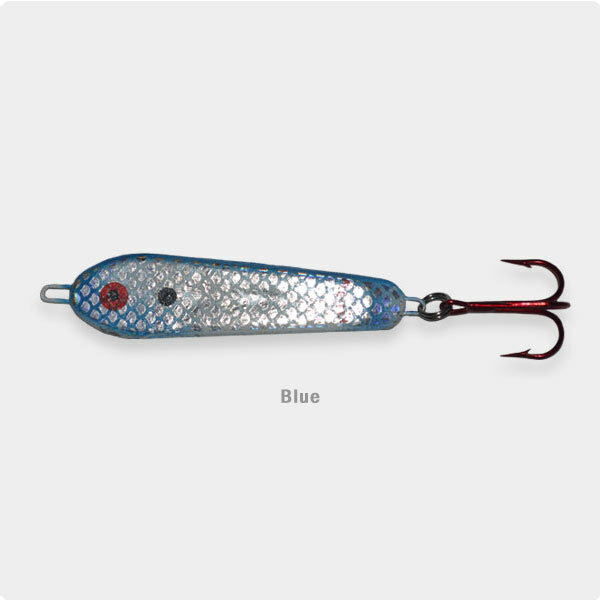 Don’t bent it unless the fish want a slower presentation.